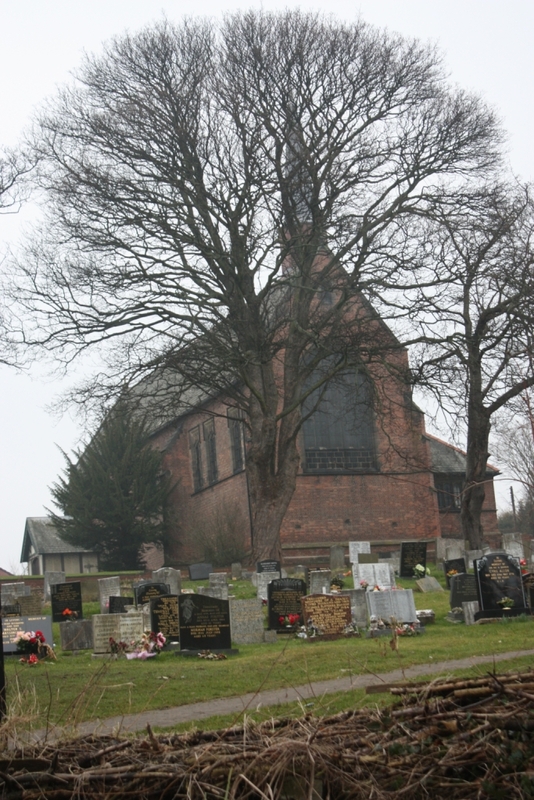 St George's church, unlike many local churches, still has an open churchyard. There are not many months that go by without burials or interment of ashes. The open part of the churchyard is maintained entirely by a small group of hardworking volunteers, any help is gratefully received. There are a wide variety of headstones within the churchyard including two registered Commonwealth War Graves from the first world war. Click here for details. The Church of England does have quite strict rules about the sizes, shapes and inscriptions of new headstones and memorials. If you have questions about these, please come into the church office or get in touch with us for a chat. Headstones are usually added around six to twelve months after the service of burial to allow the ground to settle. This reduces the risk that they will become loose or lean over. Whilst the land remains the property of the the church, the headstones and grave upkeep remain the responsibility of the family. For safety reasons, no stone, gravel nor artificial grass covering, nor any permanent edging/railing may be put down to mark out graves. Flowers, bulbs and wreaths are very welcome, but shrubs should not be planted as roots can undermine headstones and interfere with graves. Maintaining graves and keeping these simple rules will be a blessing to all who come to remember loved ones in our churchyard. It also helps us all to avoid difficult conversations where a family may be asked to remove additional items placed in memorial to loved ones, so please speak to the church before adding any permanent or semi-permanent items to graves. This churchyard is maintained entirely by a small number of volunteers. It is the responsibility of families to maintain individual graves, but there is a small group of volunteers that meets regularly from spring to autumn and does its best to look after the churchyard. For the sake of all who come to remember loved ones in our churchyard, please treat all graves with respect, place rubbish in bins and remove old flowers to help keep the churchyard tidy. If you wish to see this churchyard maintained in the future please consider volunteering to help. The church office has more details of how and when you might help our community enjoy a well kept churchyard and some dates are given below. We would welcome you for any part of the time - you don’t have to stay for the full session. Just turn up at the churchyard and introcuce yourself or speak with Norman in the church office on 415 4200.